Tracer has been providing a versatile T-Buss™ low-cost, two wire (also known as “Single wire”) multiplex solutions since 1986. The patented technology is available to OEMs and has found applications in Fire, Security, parking structures, train data logging, irrigation and other systems. The Tracer line is also used by the US Navy. WELCOME TO TRACER ELECTRONIC, INC.
Tracer Electronics was founded in 1985 as engineering consultants to develop low cost monitoring and control components to the fire and burglar industries. 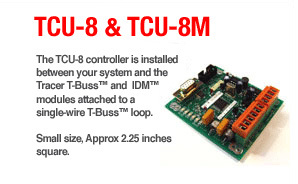 Tracer introduced the T-Buss™ multiplex system in 1986 to select OEM customers. The company has since grown to offer complete systems and special modules for a wide range of applications. Tracer has continually reduced the size and cost of its ID modules, and added increasing power to its controller platform that utilizes the T-Buss™ technology. 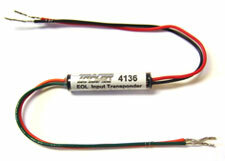 Most of Tracer’s technology is available to qualified customers.